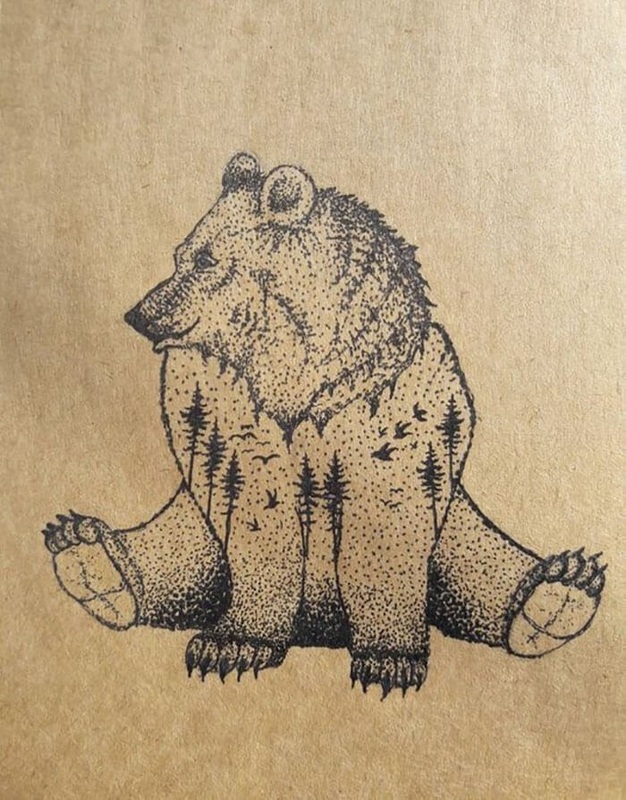 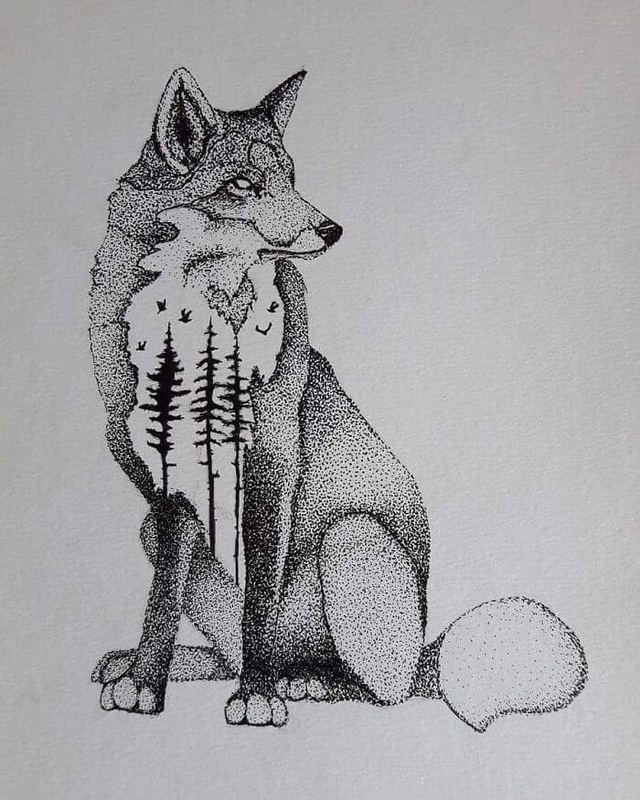 Drawings of animals that incorporate their homes, within their form. 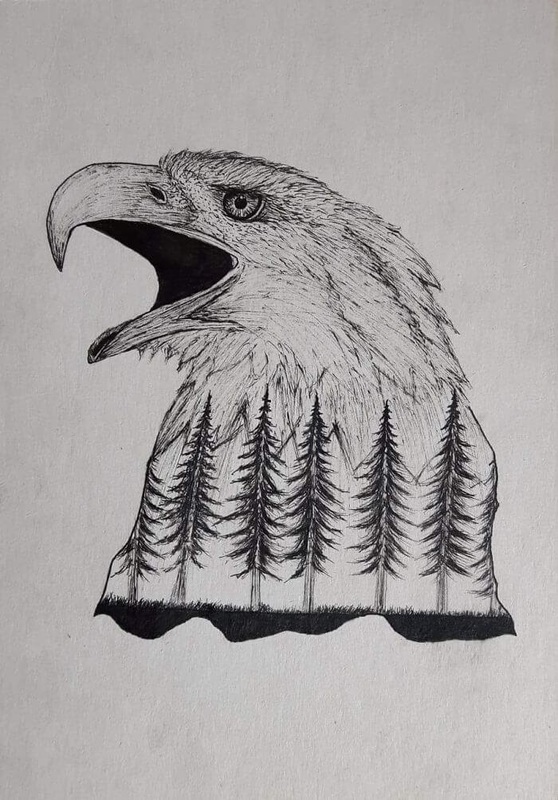 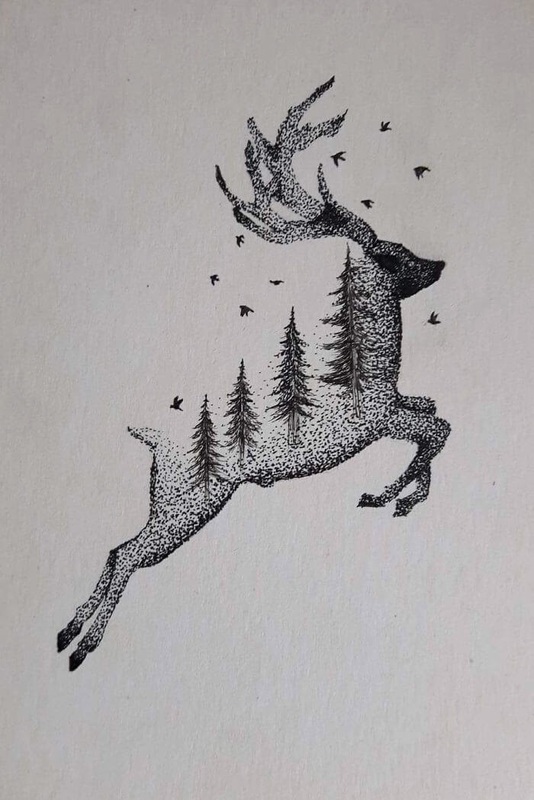 These double exposure illustrations, were created by mARTin (mARTinWORK), using a technique called Stippling. 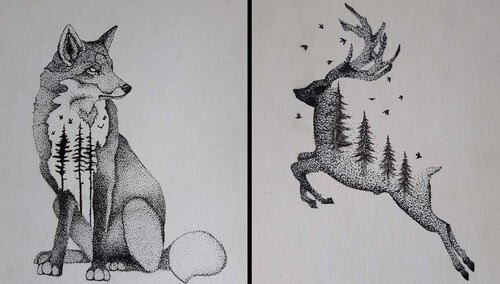 You draw using ink dots the more the concentration, the darker the area and the less dots, the lighter the area. 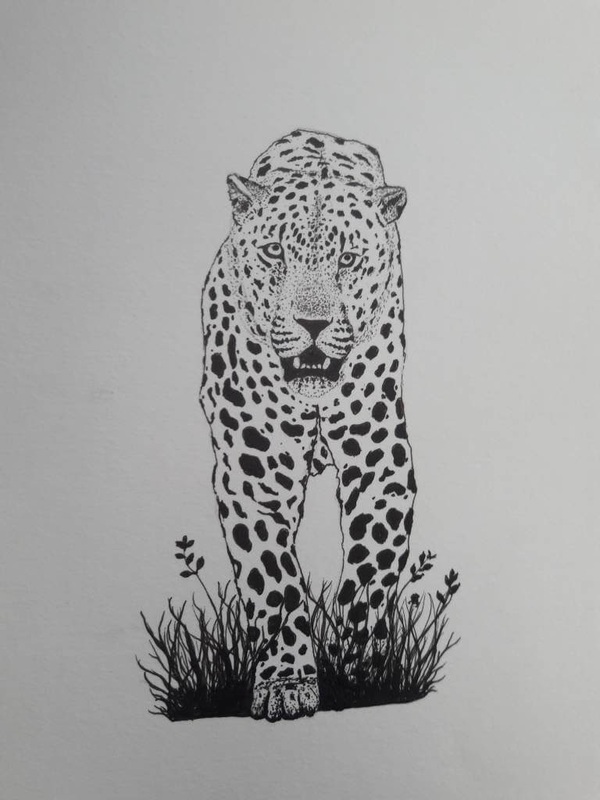 Using these principles, you can draw from very simple to very intricate shapes. 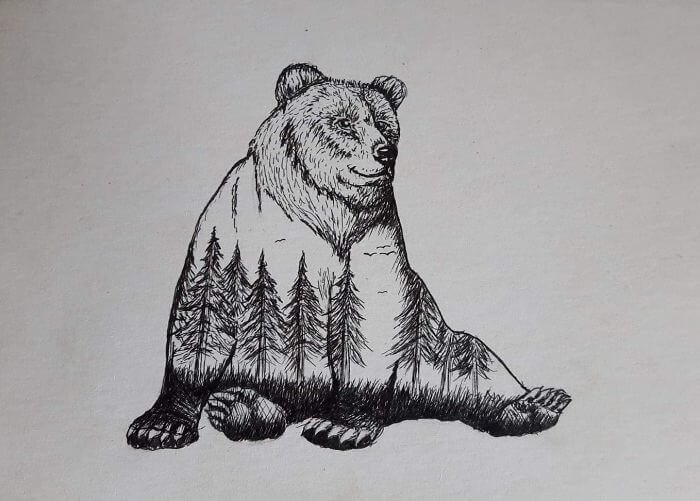 This style can be used for highlights or shading, as well.